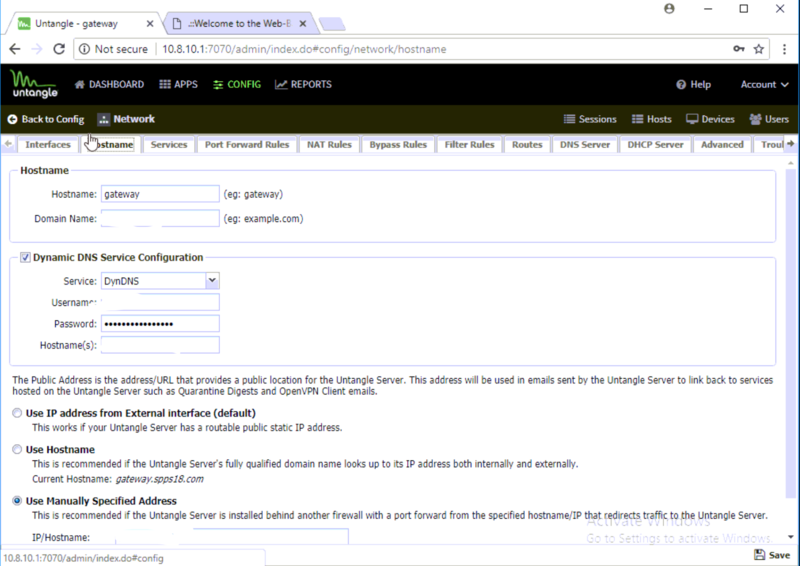 This is recommended if the Untangle Server is installed behind another firewall with a port forward from the specified hostname/IP that redirects traffic to the Untangle Server." and in the IP Hostname field they have their Public IP address listed with port 443, not the IP address of the Cincinnati Bell modem. Any ideas or help would be very appreciated. I would start by posting a network diagram. He is right, if its behind the other firewall, then you will need to configure a port forward on that firewall so that you can even reach Untangle. Untangle doesn't have a public IP so you'll need to tell Untangle to use your zyxel IP under "Use Manually Specified Address"
FWIW, I would not suggest running double NAT. Also as explained in the new user's guide, the quality of help you're going to get without a network diagram and with blanked out or false IP addresses is going to be poor. and their network is a kinda mess - this is going to be tough. You may have to get your hands dirty. But all the same logic will still help you troubleshoot the port forward config on your zyxel, except that being UDP you can't test with telnet. Last edited by dmorris; 03-08-2018 at 09:39 PM. Sorry, I should have clarified the public IP is in the field you mentioned, I just blurred it out in the picture. I wasn't sure what IP's are safe to post here as I'm not a network engineer. I had nothing to do with this install and contacting the company that did has been useless. Cincinnati Bell claims the Zyxel is not blocking any UDP traffic and that that would all be done on the untangle. How would I fix the double NAT issue you're referring to? 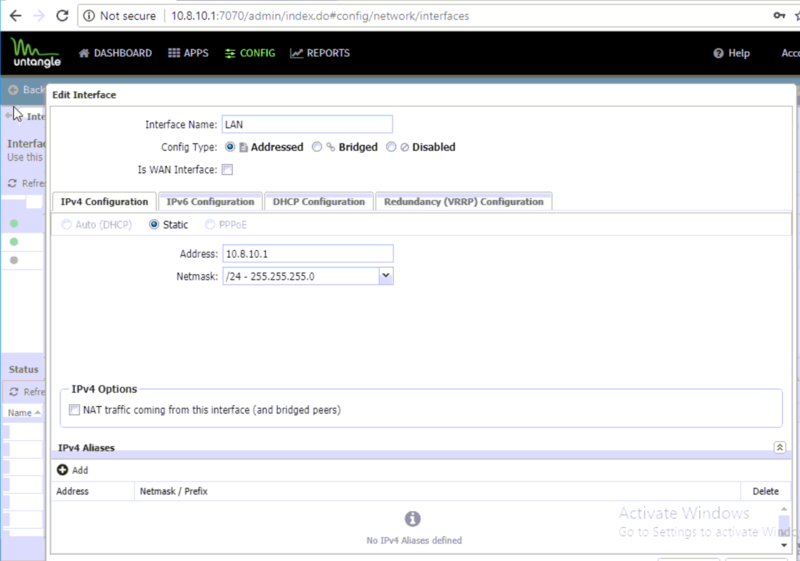 By changing to the "use IP adress from external interface option"? By not running two firewalls, both doing NAT. You gain nothing by running two firewalls except 4 times the trouble. A firewall doing NAT blocks all inbound sessions, unless explicitly forwarded with a port forward. Thats just how NAT works. If they told you that they're probably very confused and think that you are talking about outbound UDP. Gotcha. 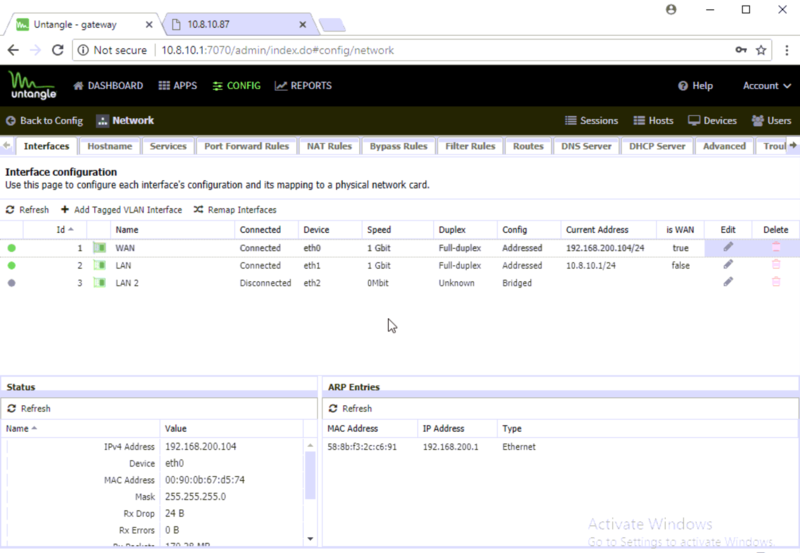 So I can see the Firewall is turned off on the Zyxel...Should I turn NAT off on the Zyxel as well or disable it on the Untangle? Can you help me understand the 3 options on the untangle listed below? Right now the third option is selected with the Public IP address in the IP/Hostname fiedl...but why would someone have configured it this way if the firewall on th Zyxel was disabled? This works if your Untangle Server has a routable public static IP address. This is recommended if the Untangle Server's fully qualified domain name looks up to its IP address both internally and externally. 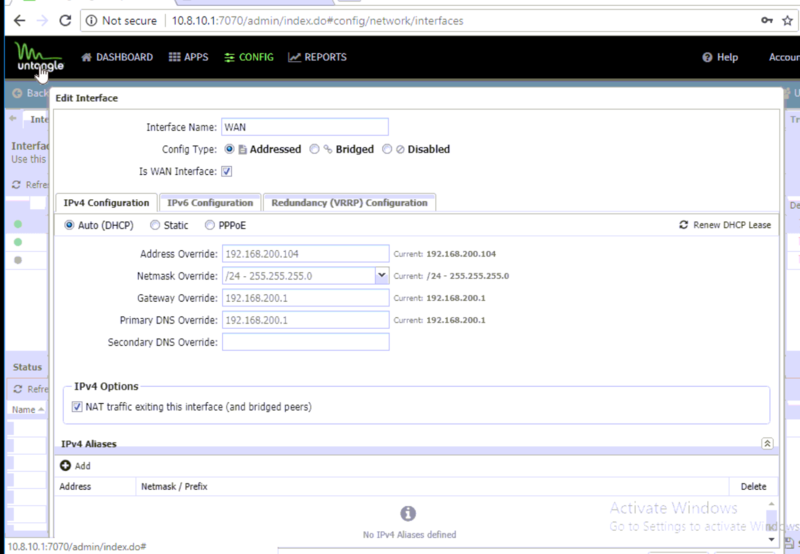 here's some screen captures of how the interfaces were configured...is this where the double nat is configured?